Here is a Lionel 9432 Postwar Years Boxcar from 1980. 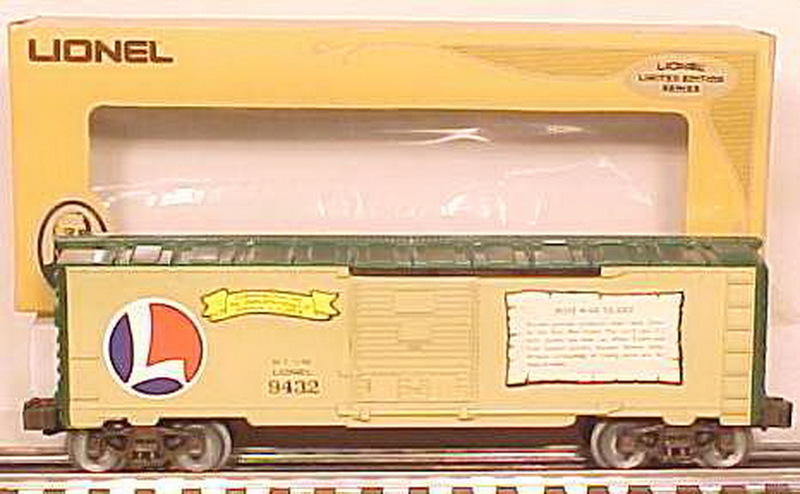 This car is part of the Joshua Lionel Cowen Commemorative set, which honored what would have been the 100th birthday of Lionel's founder. It is also part of the 1070 Royal Limited Set from that year. This car features sliding doors, die-cast metal sprung trucks, die-cast metal operating knuckle couplers and metal wheels and axles. The Trainz SKU for this item is 4252264.